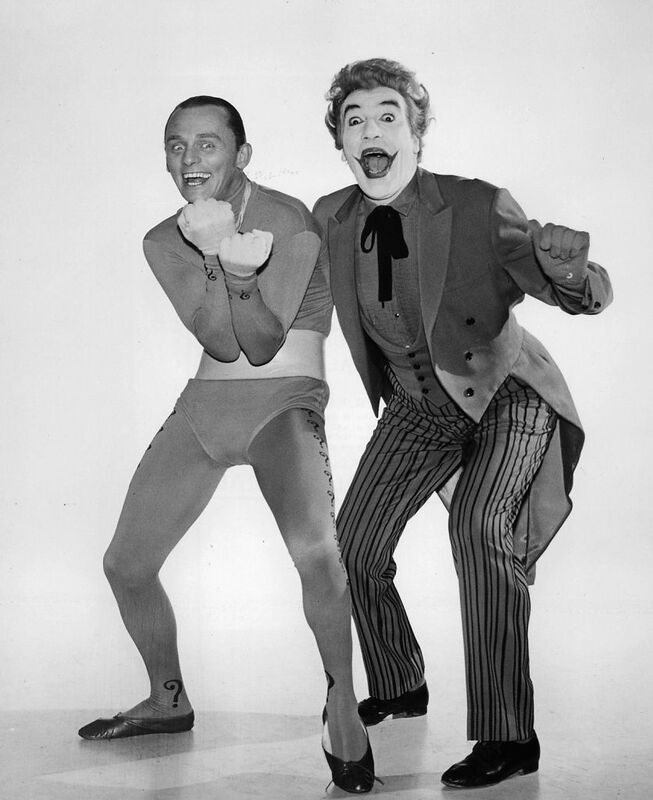 When it came to casting for the television series, it was quite a surprise to most that the parts of Batman and Robin were given to two unknowns. 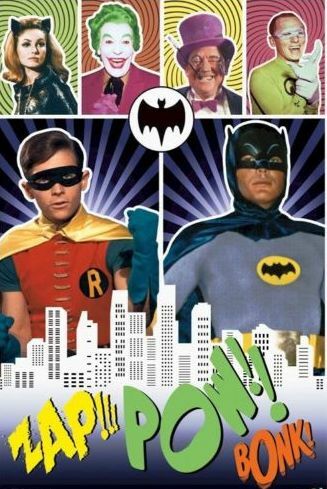 Although, it wasn't too long before all agreed that awarding these roles to Adam West and Burt Ward was actually a stroke of genius. 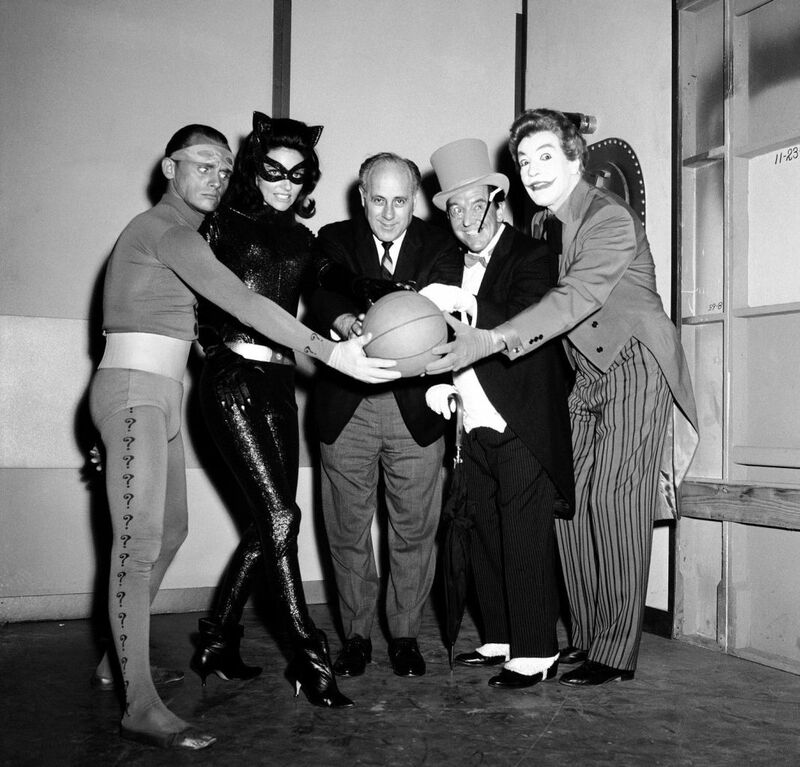 The villains on the other hand were played by some of the biggest names in show business at that time. 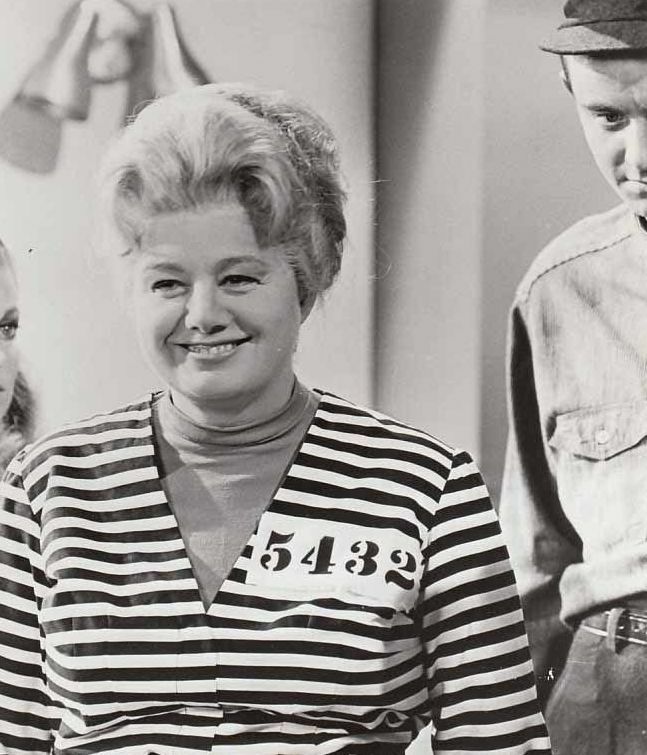 The complete cast of criminals that kept the Dynamic Duo occupied for the whole of the three seasons are all listed below in alphabetical order. 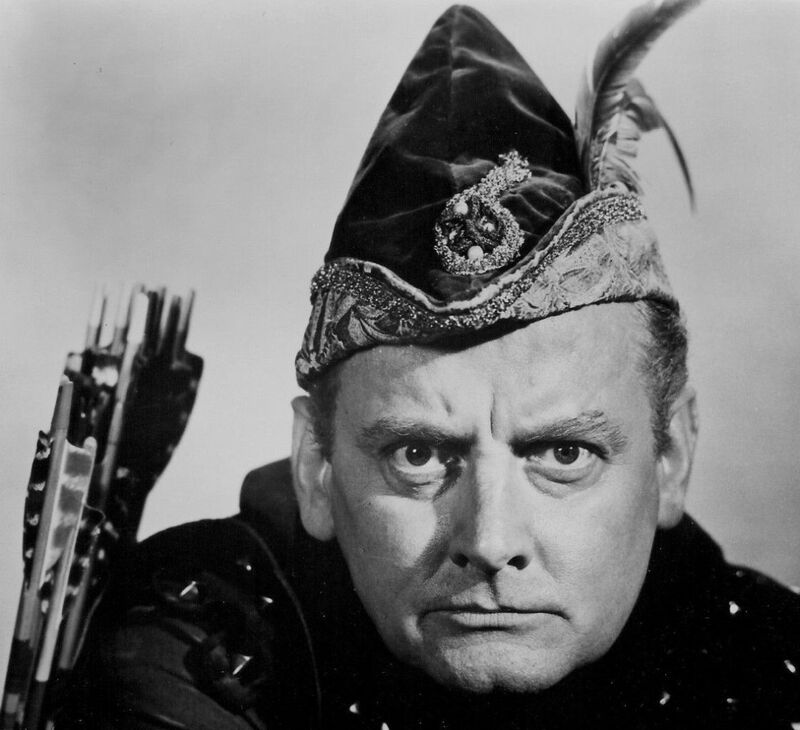 The Archer The Archer was played by Art Carney. 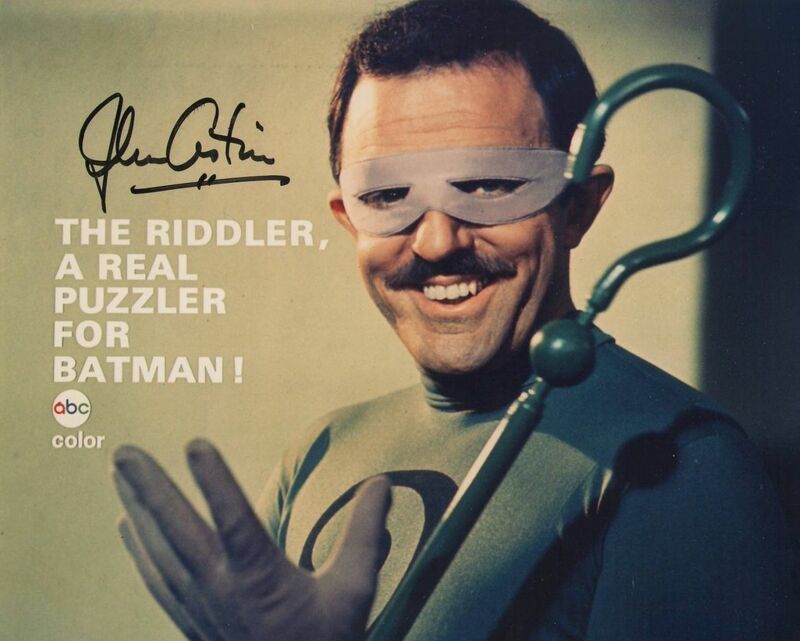 He was the first villain to trouble Batman and Robin in the second season. 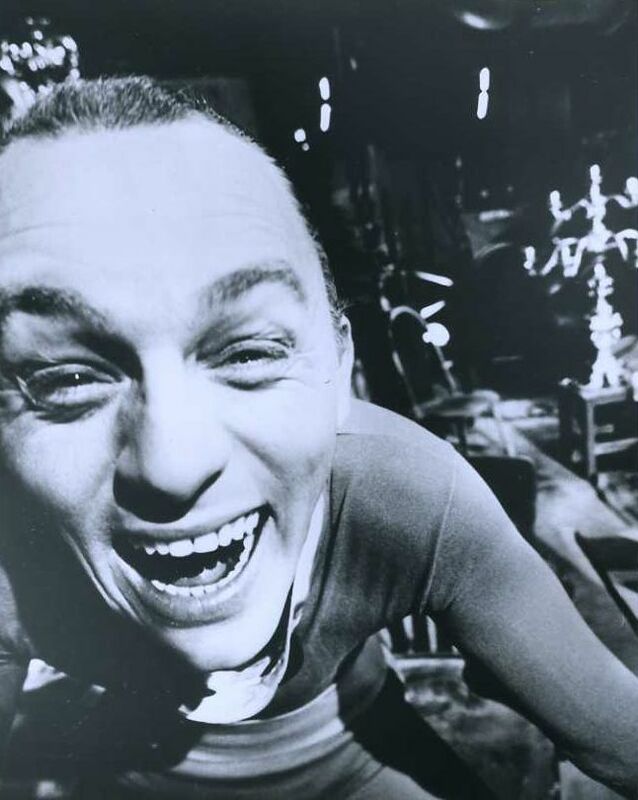 These two episodes (35 and 36) marked his only appearance in the series. 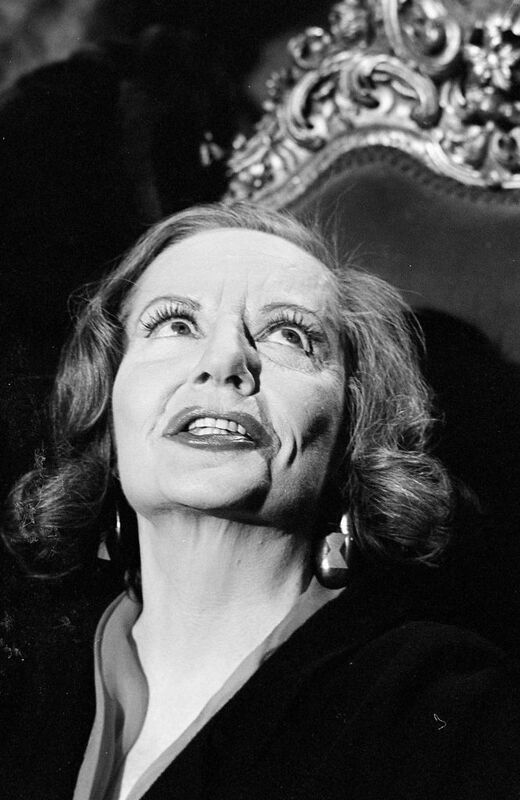 The Black Widow Played by Tallulah Bankhead who, once again made just one appearance, in episodes 89 and 90. 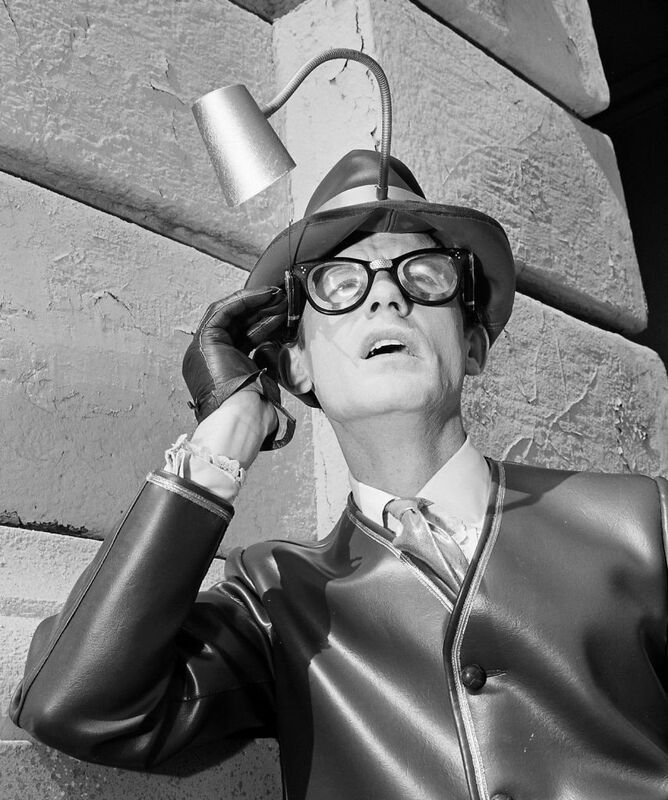 The Bookworm Played by Roddy McDowall. 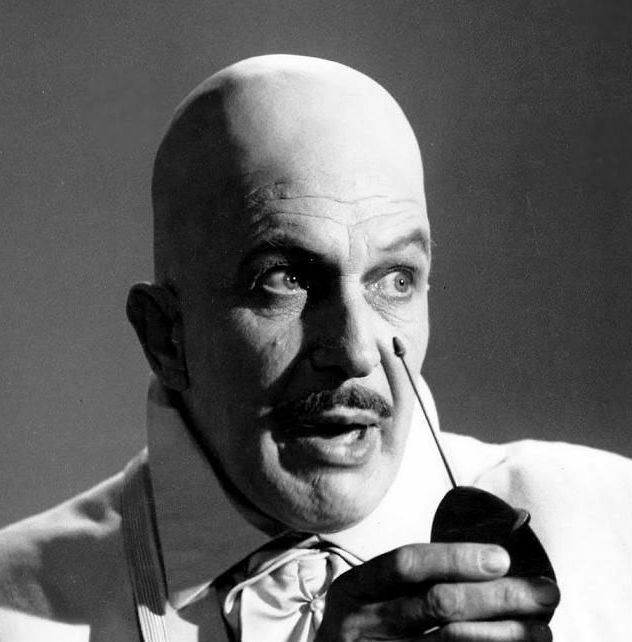 Again this villain appeared just once in episodes 29 and 30. 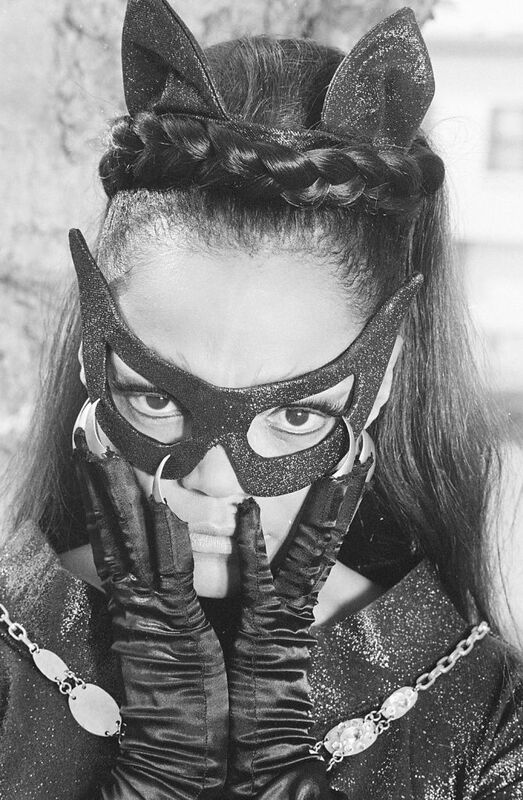 Catwoman Catwoman was the cause of many problems for Batman and Robin. 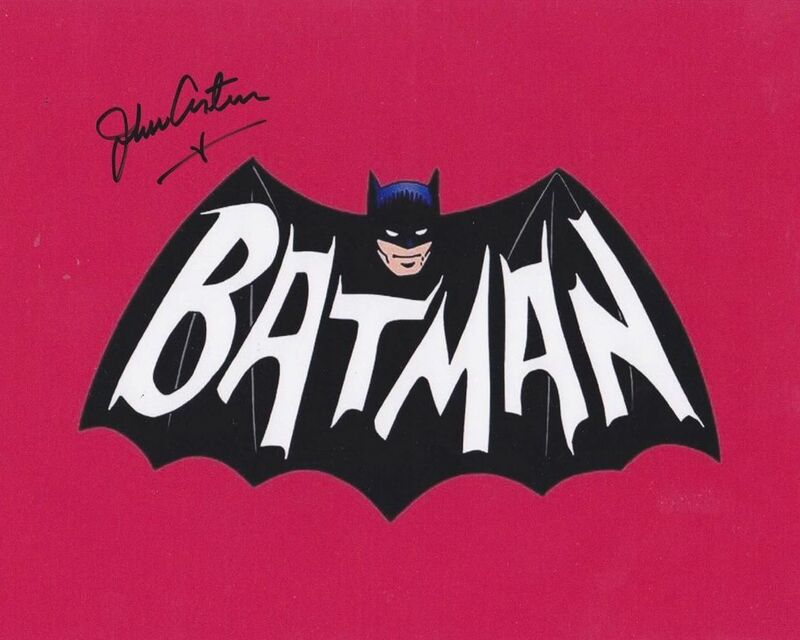 Originally played by Julie Newmar in episodes 19, 20, 37, 38, 63, 64, 67, 68, 74, 75, 83 and 84. 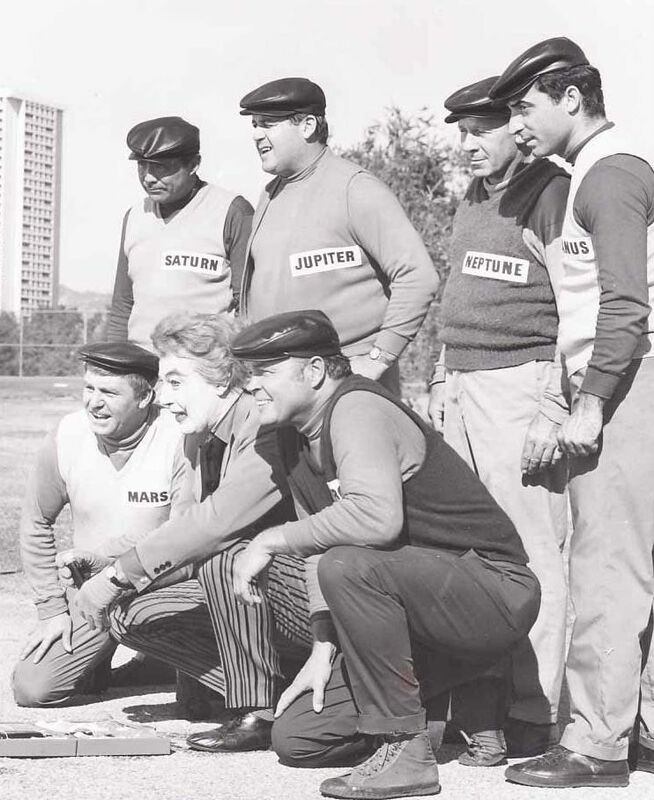 Julie decided against playing the role in the Big Movie version that was filmed during this run. 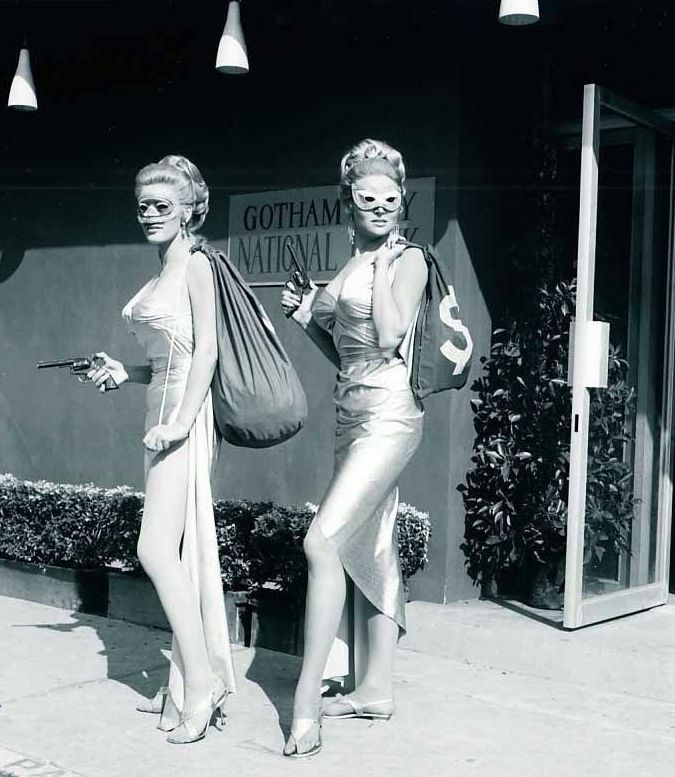 She chose instead to go in search of Mackenna's Gold, in which she coincidentally gets involved in a brilliant 'Cat-Fight' with Camilla Sparv. 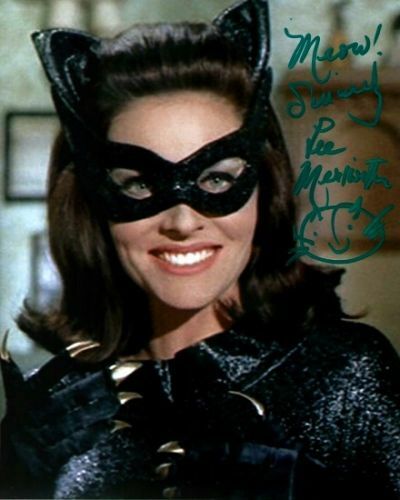 This left the part in the movie up for grabs, and it was clawed successfully by Lee Meriwether. 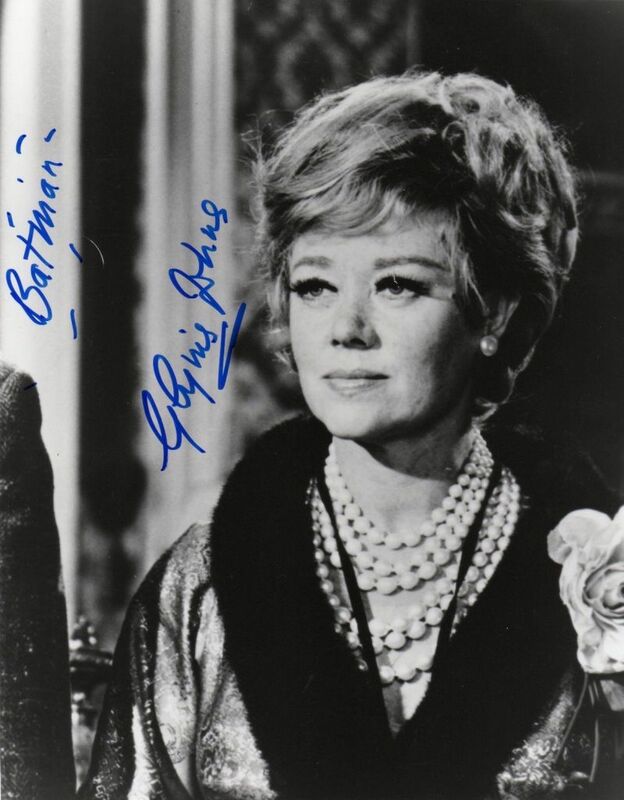 Lee did a great job in the movie, but unfortunately this was her only opportunity to play Catwoman. 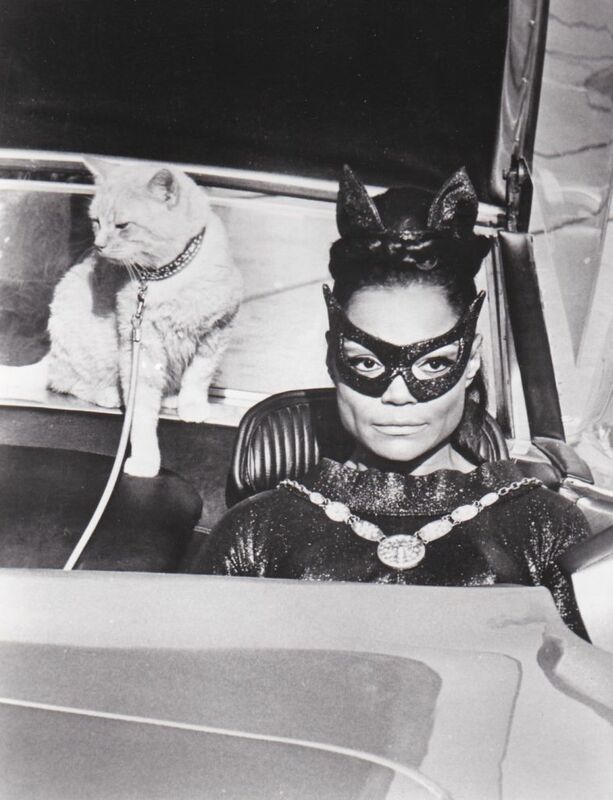 The third and final feline female to sink her teeth into the role was Eartha Kitt. She appeared in episodes 108, 110 and 111. 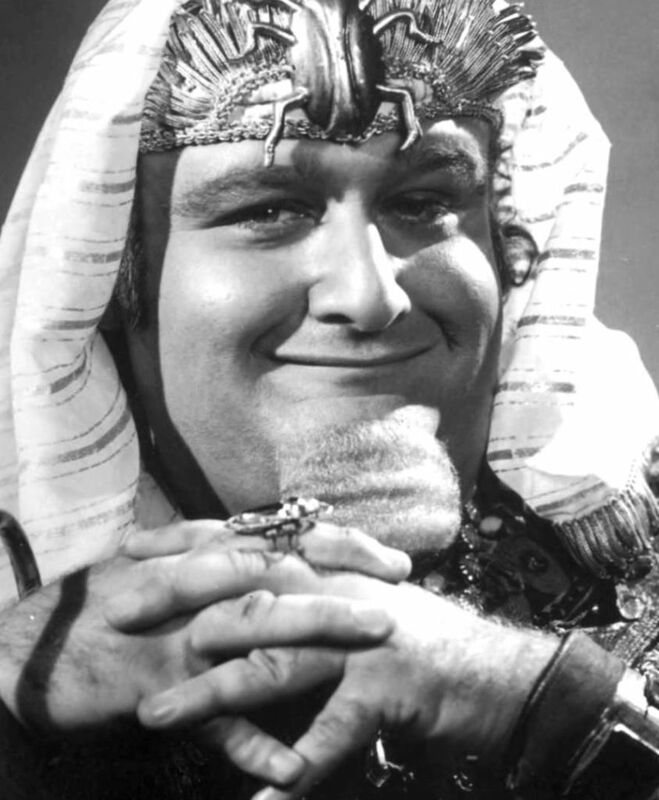 Chandell Played by Liberace. Just the one adventure for Libs, who turned up in episodes 49 and 50. 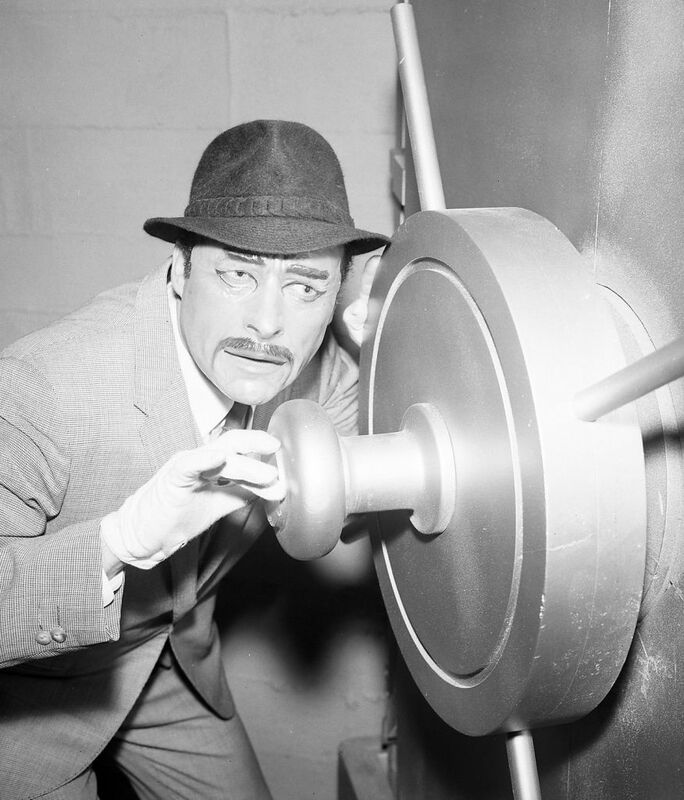 The Clock King Played by Walter Slezak, who featured just once in episodes 45 and 46. 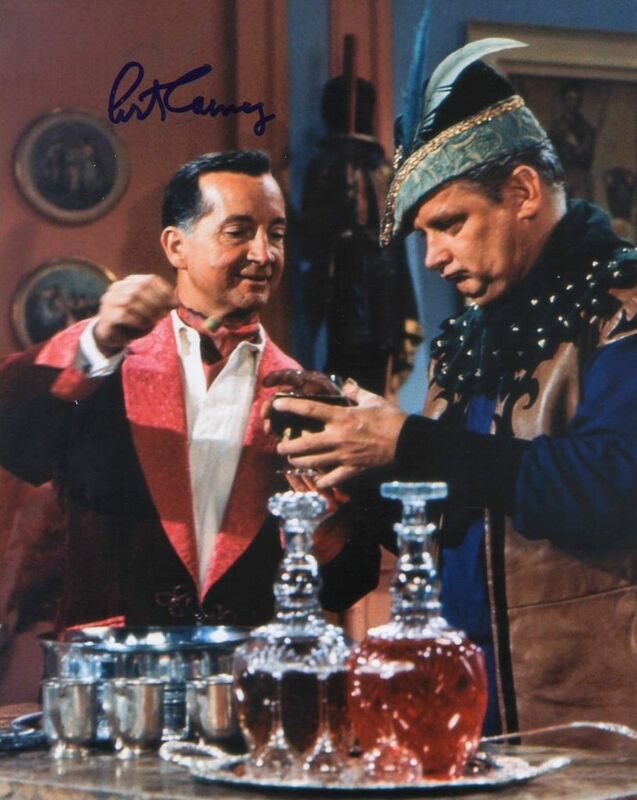 Colonel Gumm Played by Roger C Carmel. Again just the one adventure. Episodes 85 and 86. 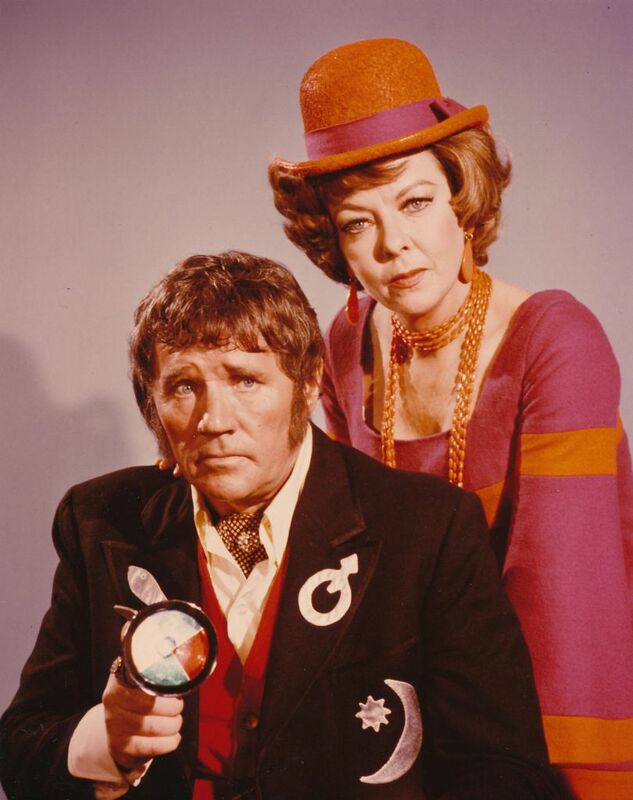 Dr Cassandra Ida Lupino Took on this role for just one single episode. Episode 119. 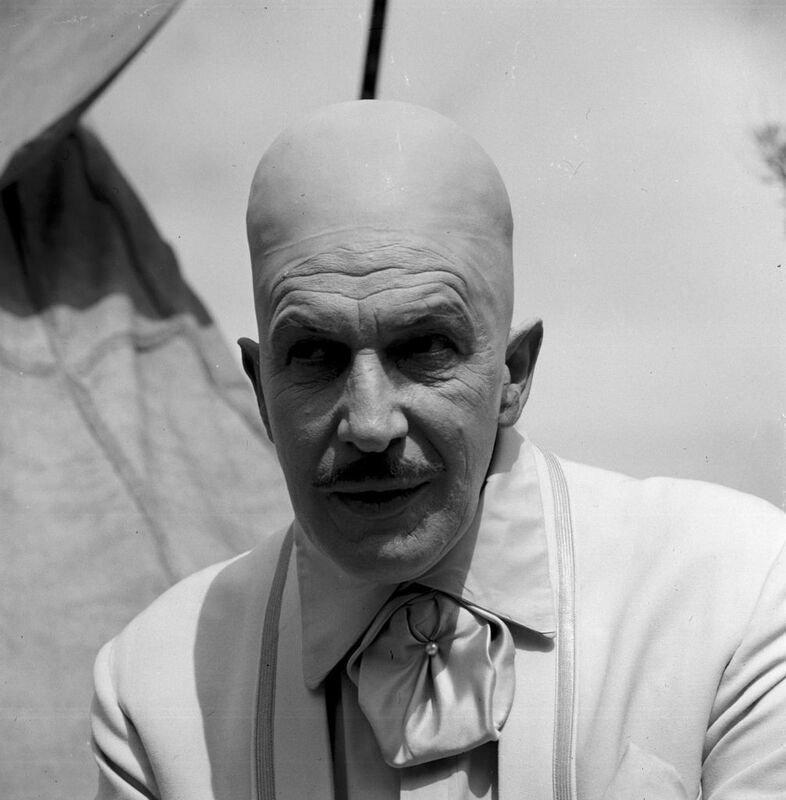 Egghead Egghead was played brilliantly by Vincent Price in episodes 47, 48, 102, 103 and 109. 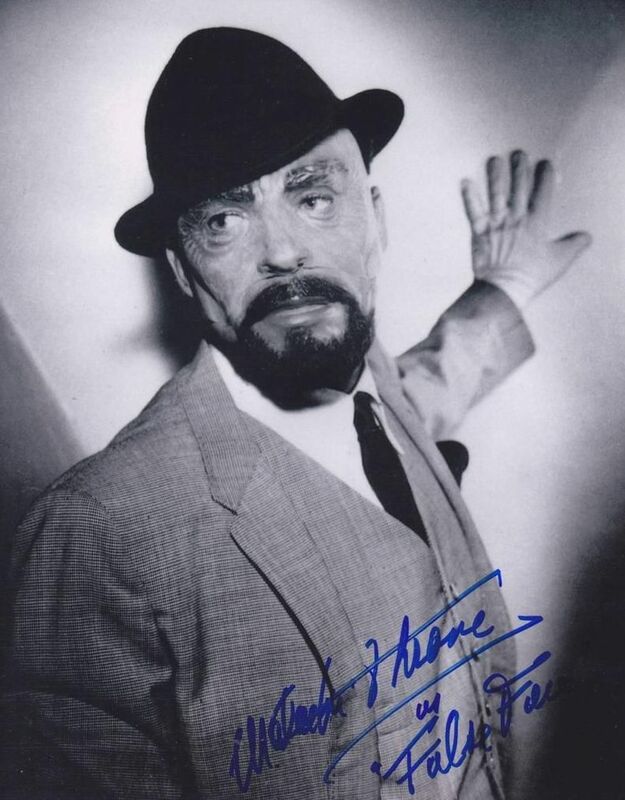 False Face Malachi Throne made one appearance as False Face in episodes 17 and 18. 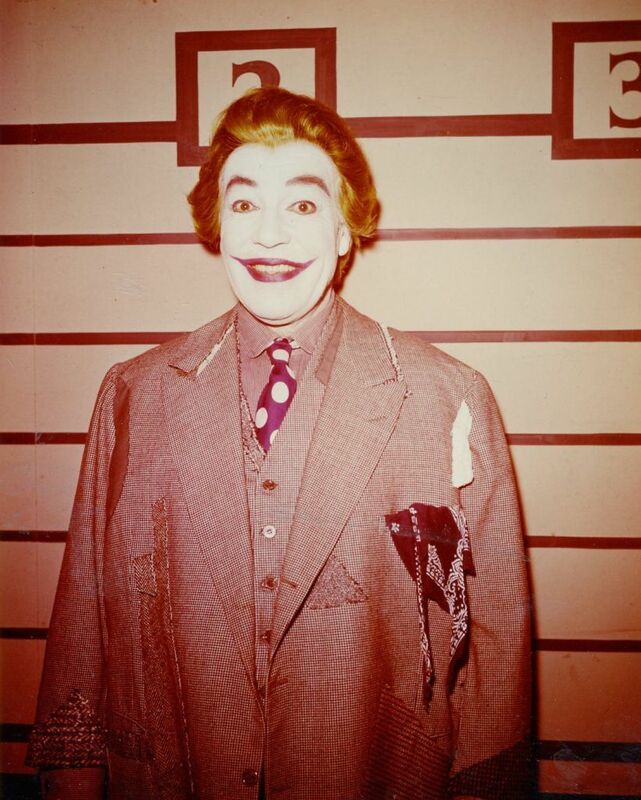 The Joker Cesar Romero was absolutely brilliant as The Joker, and fortunately he stuck with the role right to the end of its third and final season. 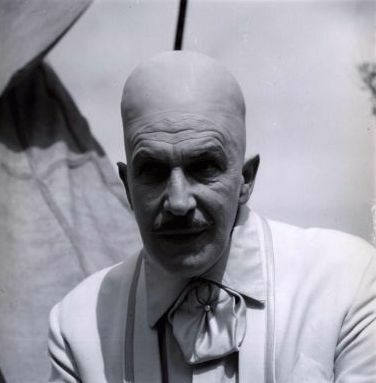 He appeared in the movie, and also in nineteen episodes of the television series. Episodes 5, 6, 15, 16, 25, 26, 55, 56, 71, 72, 73, 81, 82, 91, 92, 104, 110, 111 and 118. 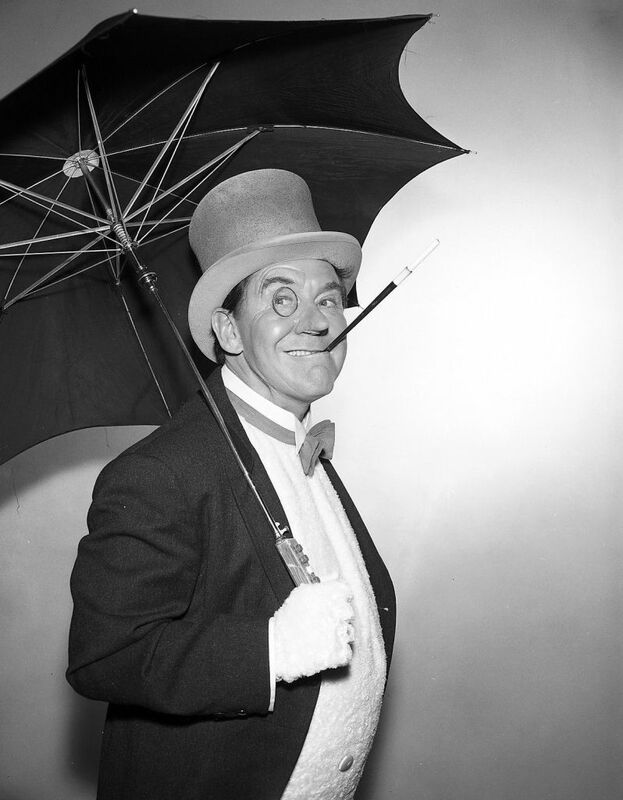 He was pipped at the post for most appearances by The Penguin, who turned up twenty times on TV as well as appearing in the movie. 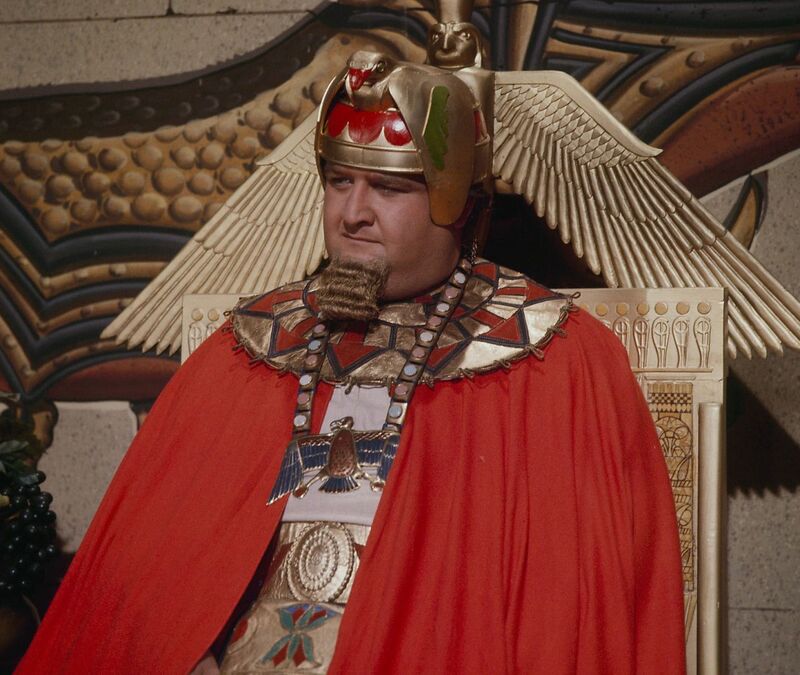 King Tut Another popular villain played by Victor Buono. 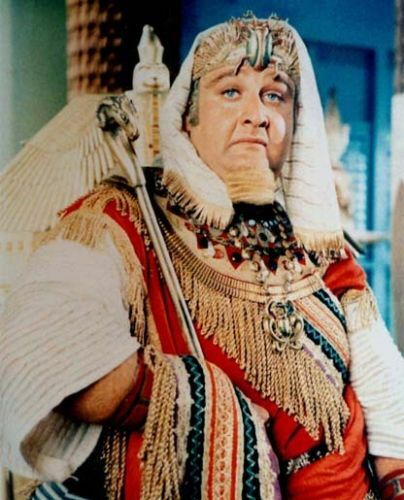 Tut was seen in eight episodes. 27, 28, 41, 42, 87, 88, 100 and 117. 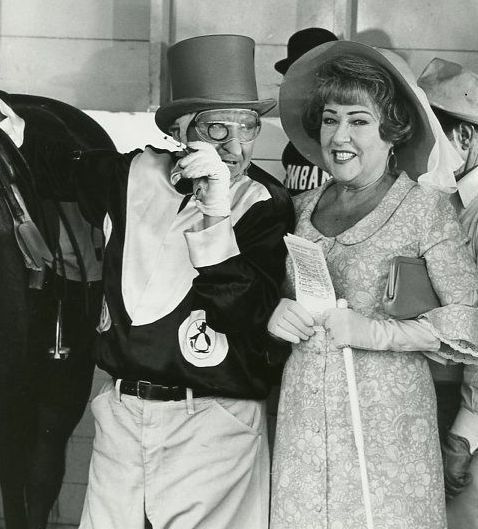 Louie the Lilac Played by Milton Berle for two separate adventures. 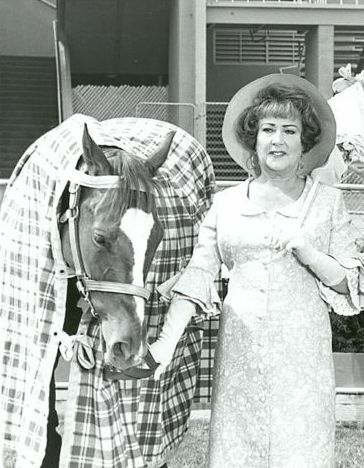 Episodes 101 and 112. Lord Fogg Rudy Vallee played the part of Lord Marmaduke Fogg in three episodes, 105, 106 and 107. 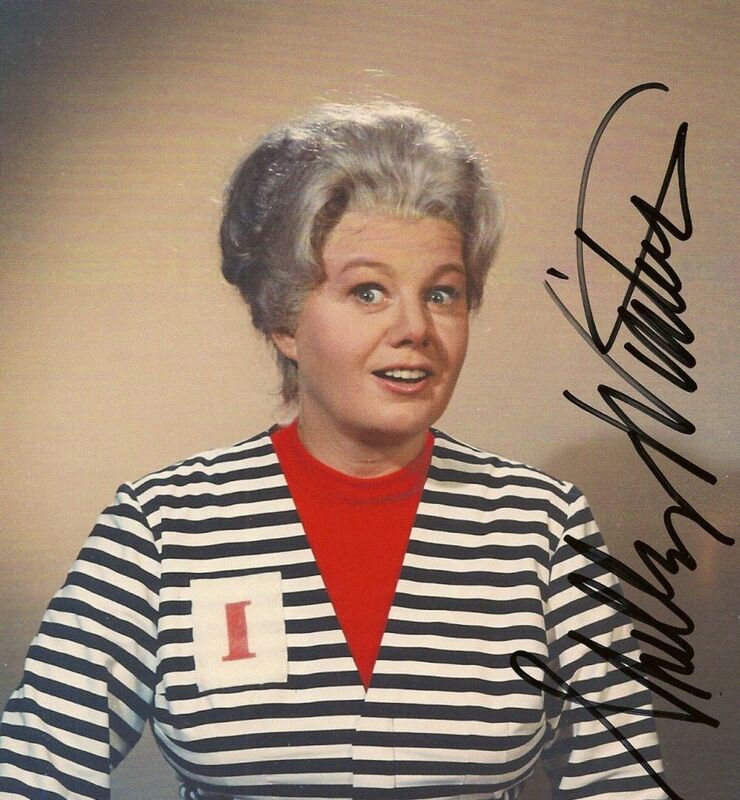 Ma Parker One adventure only for Shelley Winters who played Ma Parker in episodes 43 and 44. 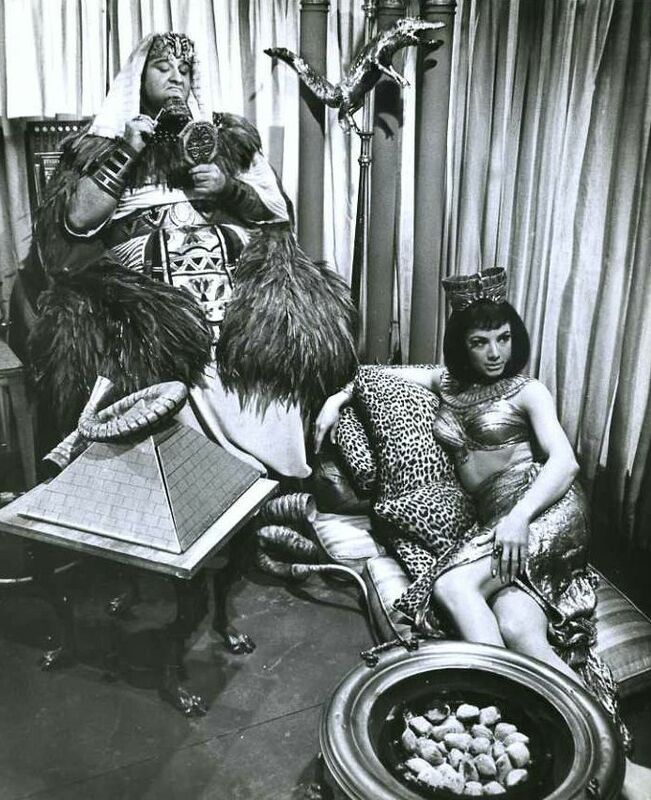 Marsha - Queen of Diamonds Played by Carolyn Jones in five episodes, 57, 58, 76, 77 and 78. 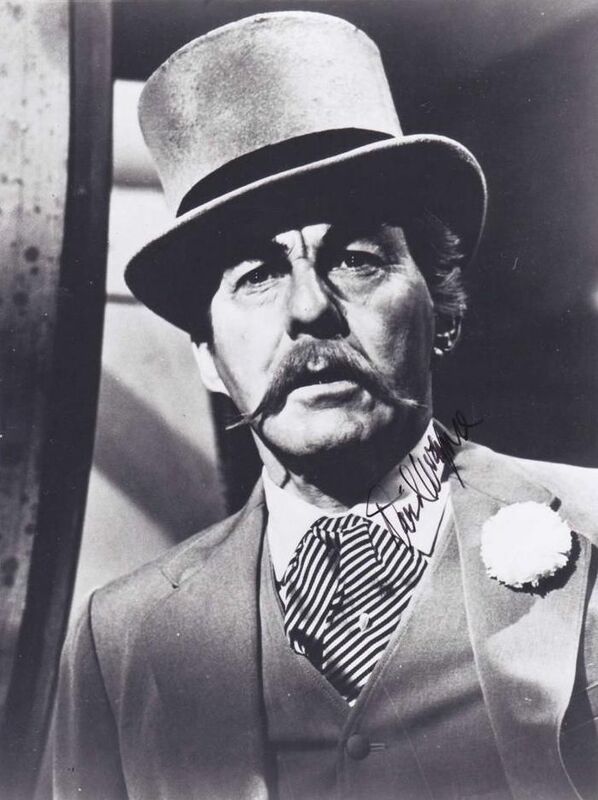 The Mad Hatter Played by David Wayne in episodes 13, 14, 69 and 70. 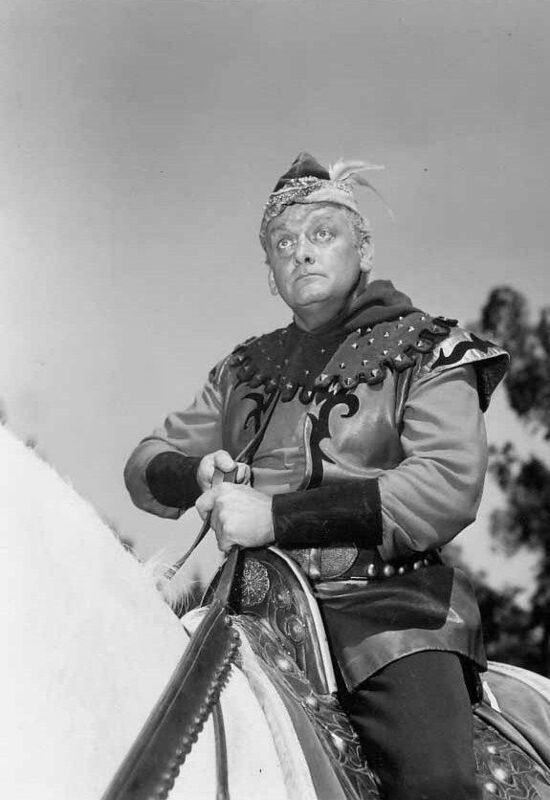 The Minstrel One adventure only for Van Johnson as The Minstrel. Episodes 39 and 40. 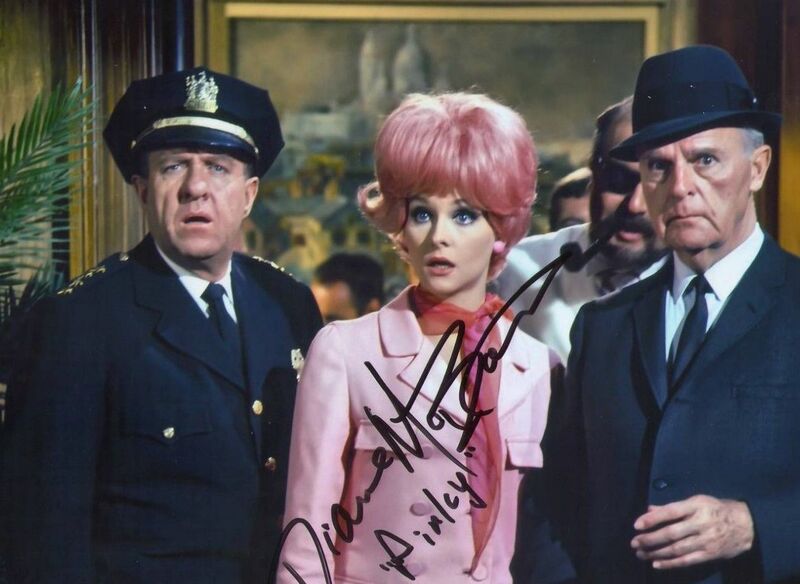 Minerva Zsa Zsa Gabor made her one and only appearance as Minerva in the very last episode of Batman. Episode 120. 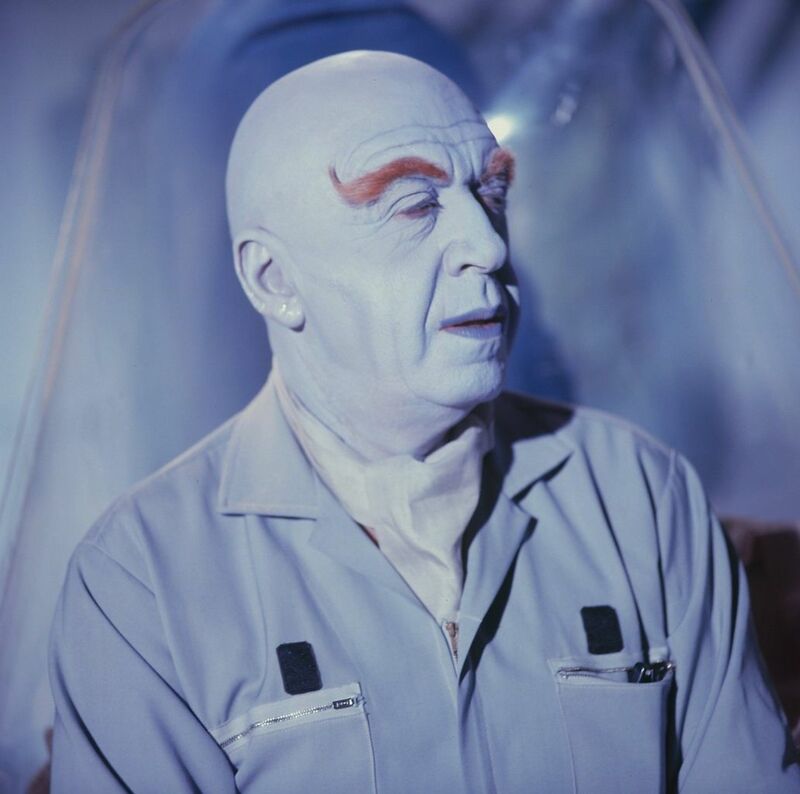 Mr Freeze The character of Mr Freeze was played by three different actors. 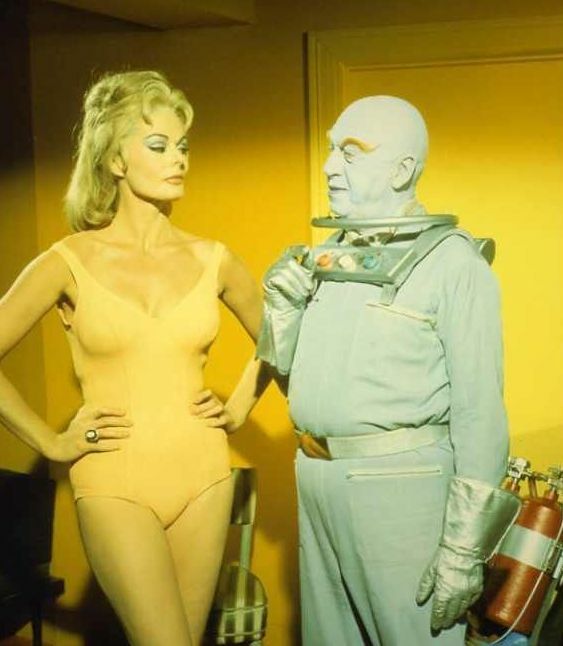 George Sanders was first up to play the frozen freak in episodes 7 and 8. 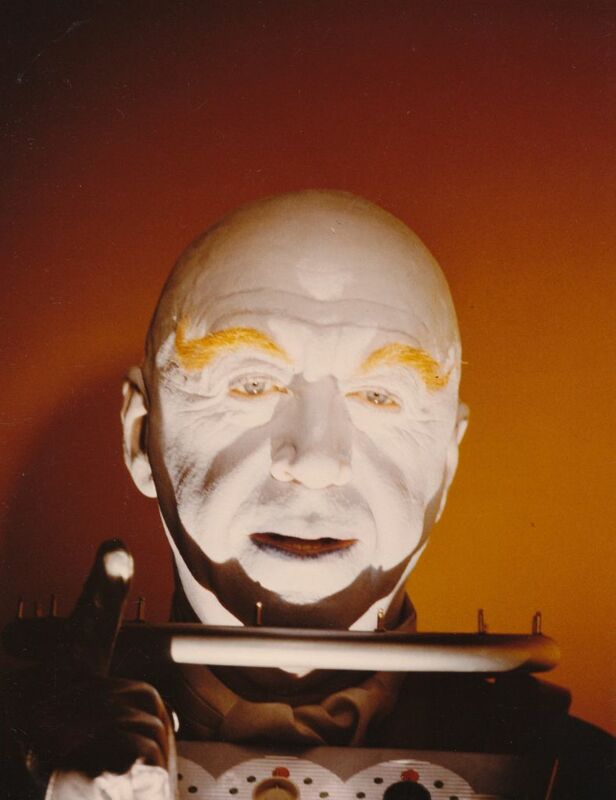 Next up was Otto Preminger, who appeared in episodes 53 and 54. 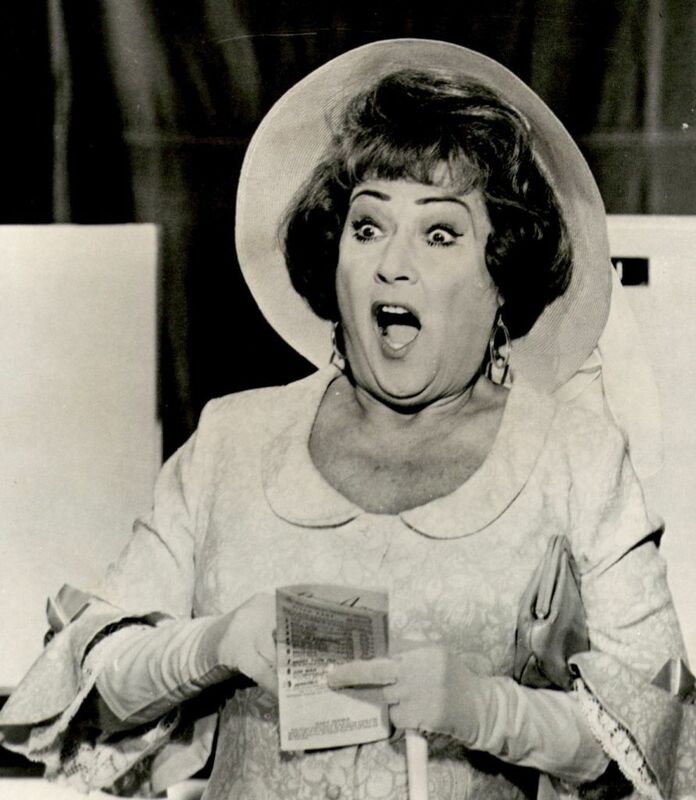 Finally the role was handled by Eli Wallach who ended the second season in episodes 93 and 94. 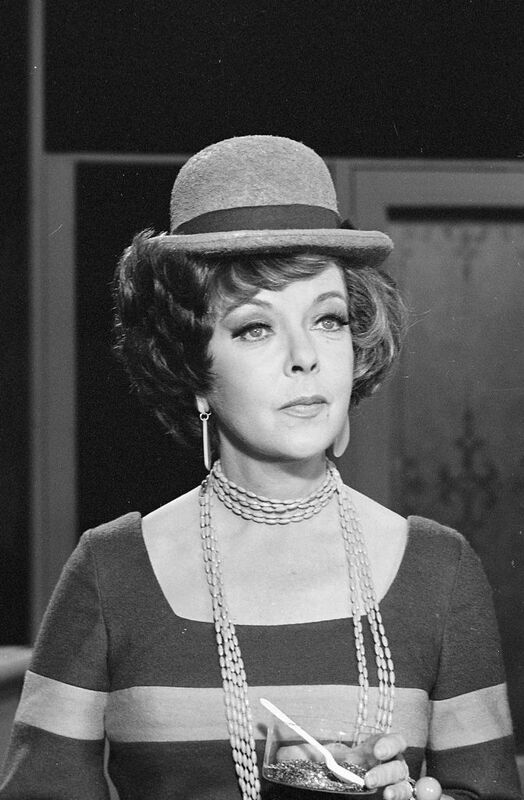 Nora Clavicle Played by Barbara Rush in one single episode. 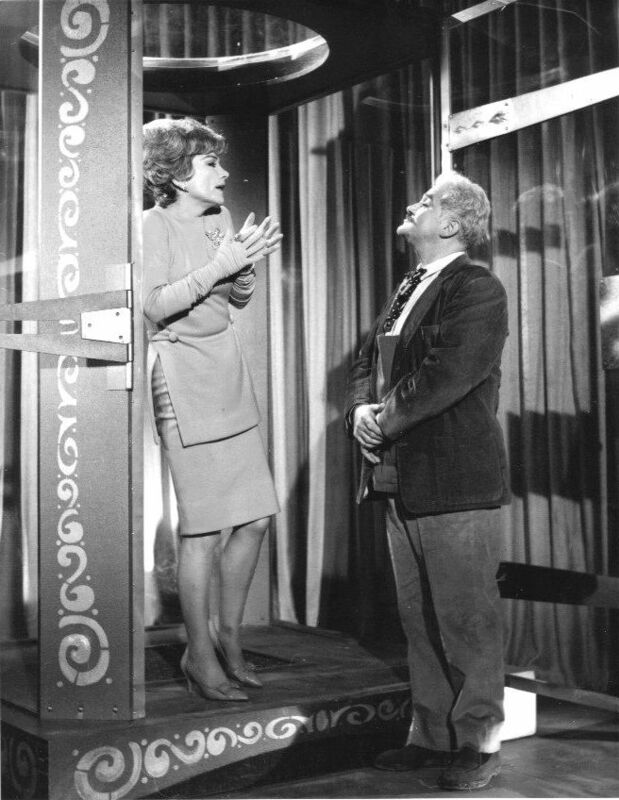 Episode 113. 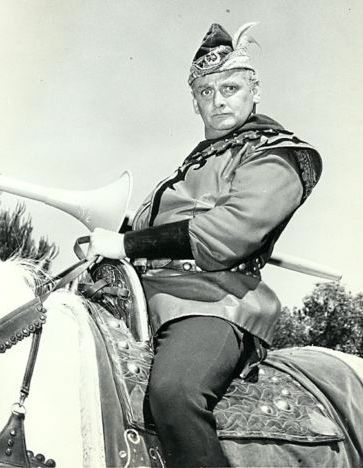 Olga Queen of the Cossacks One adventure only for Olga (sidekick to Egghead). 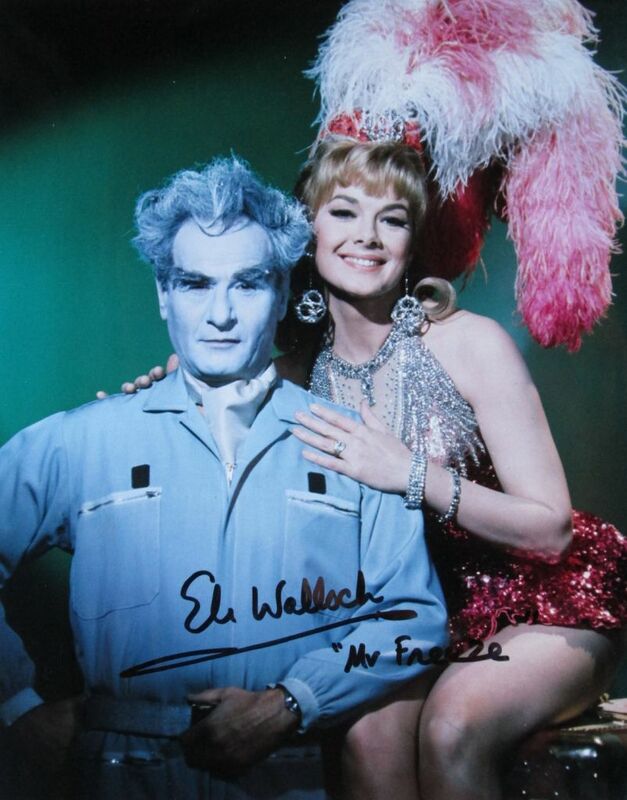 She was played by Anne Baxter in episodes 102 and 103. 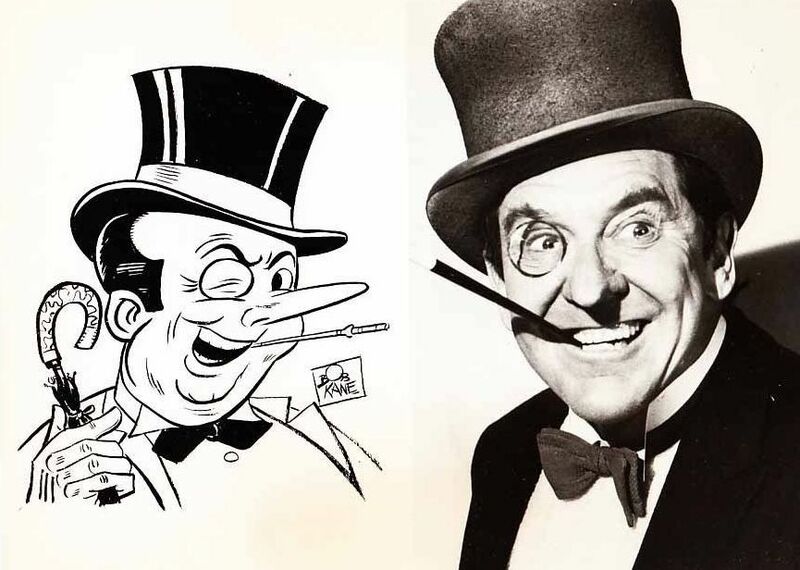 The Penguin Nobody turned up to pester the Dynamic Duo more often than this Fiendish Fink. 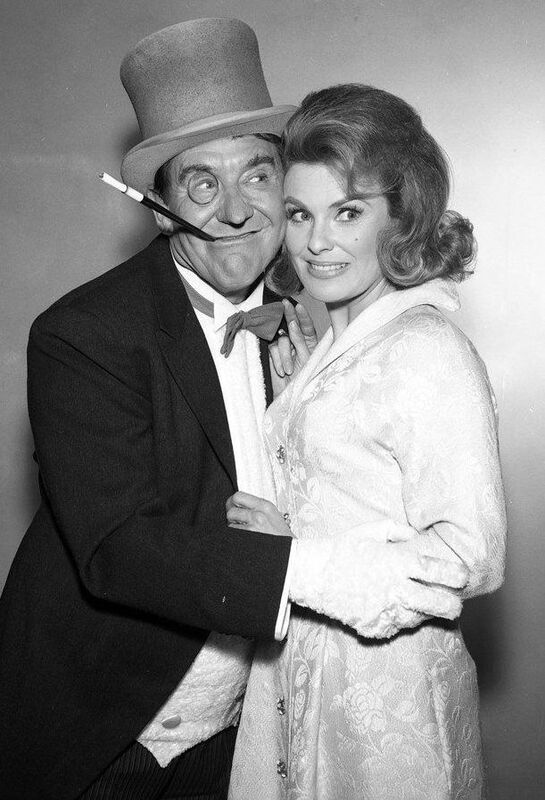 As well as appearing in the Movie, Burgess Meredith also found his way into twenty episodes of the TV series. These were episodes, 3, 4, 21, 22, 33, 34, 51, 52, 61, 62, 71, 72, 73, 76, 77, 78, 95, 98, 99 and 114. 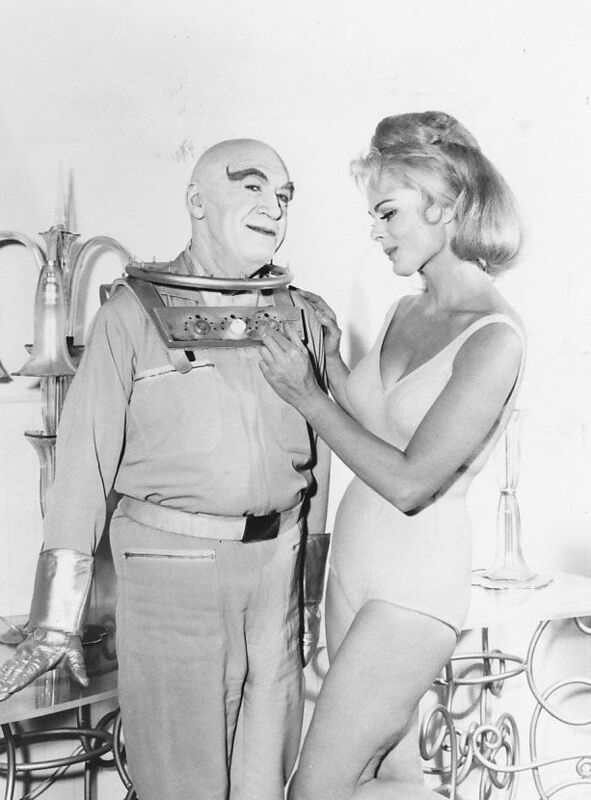 The Puzzler Maurice Evans appeared as The Puzzler just once in episodes 65 and 66. 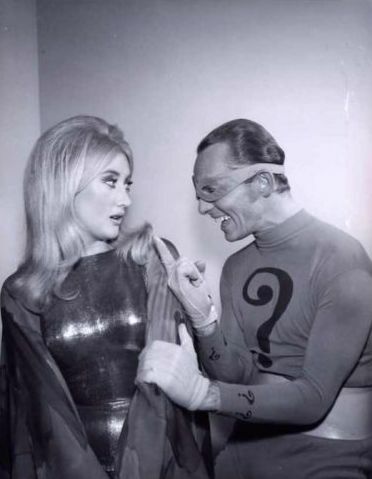 Apparently, this adventure was originally written for The Riddler. 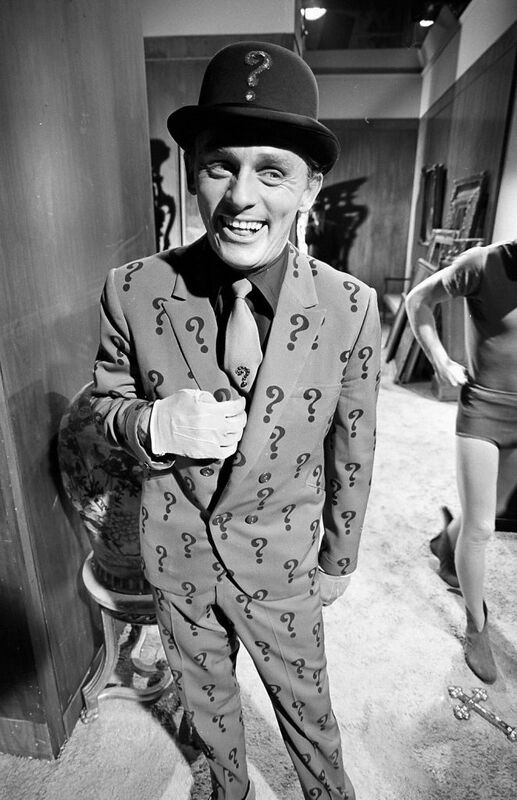 When it became clear that Frank Gorshin was "unavailable", the producers decided against casting a new Riddler at this time. 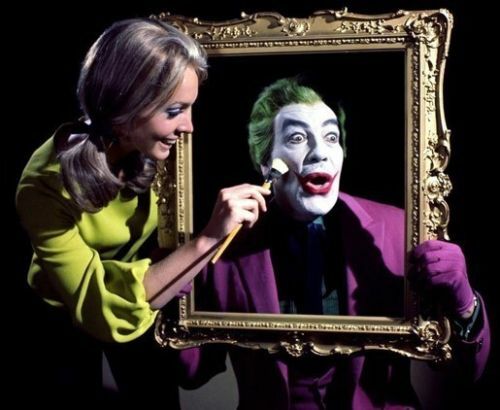 They opted instead to keep the storyline and just replace the villain. 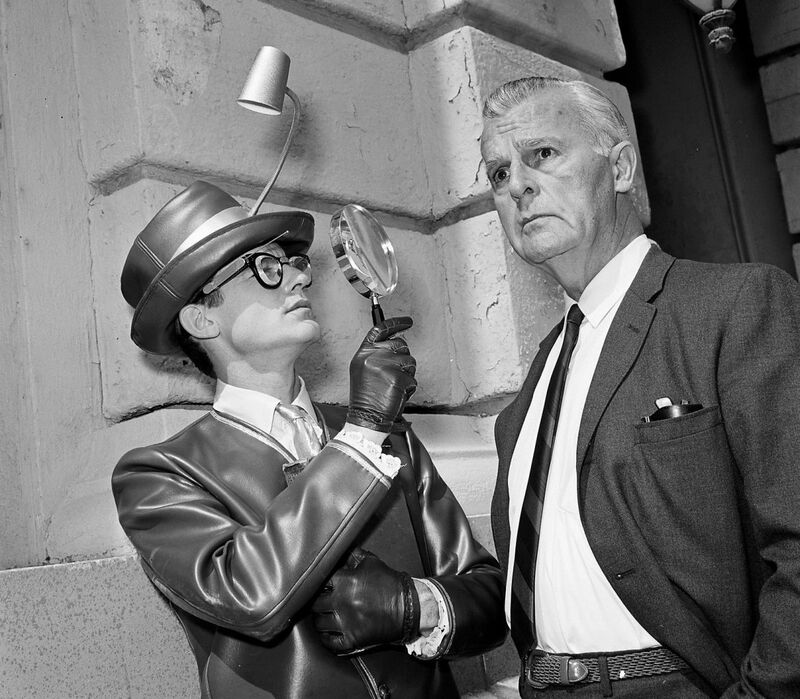 The Puzzler incidentally was originally an adversary of Superman in the 1940's comics. 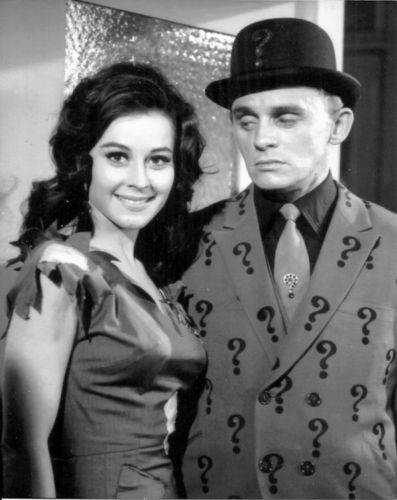 The Riddler The very first villain that we were introduced to in the TV series was The Riddler, played by Frank Gorshin. Frank appeared in episodes 1, 2, 11, 12, 23, 24, 31, 32 and 96. 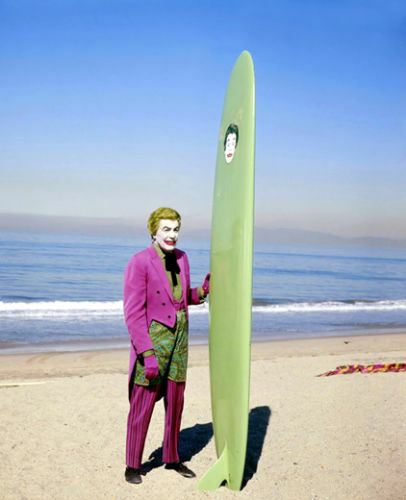 He also played the part in the movie. 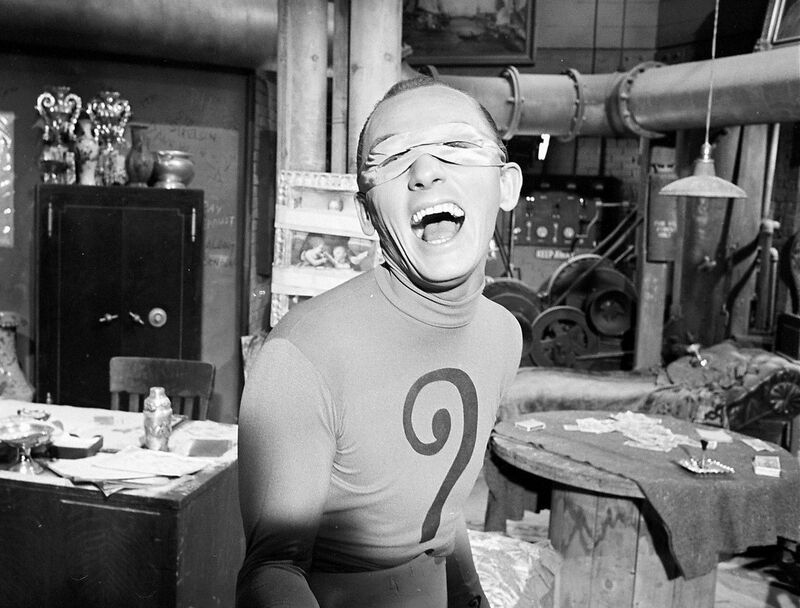 Although he chose not to play The Riddler for his only appearance in the second season. 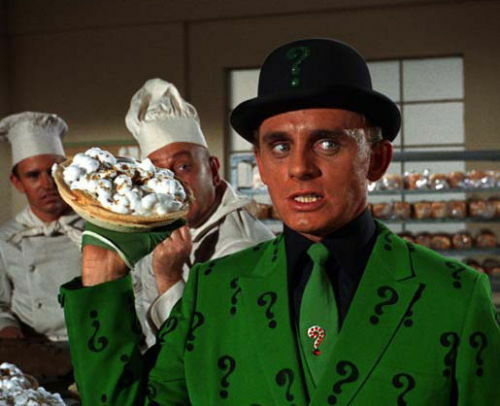 He did return for one episode in the final season which marked The Riddler's final appearance. 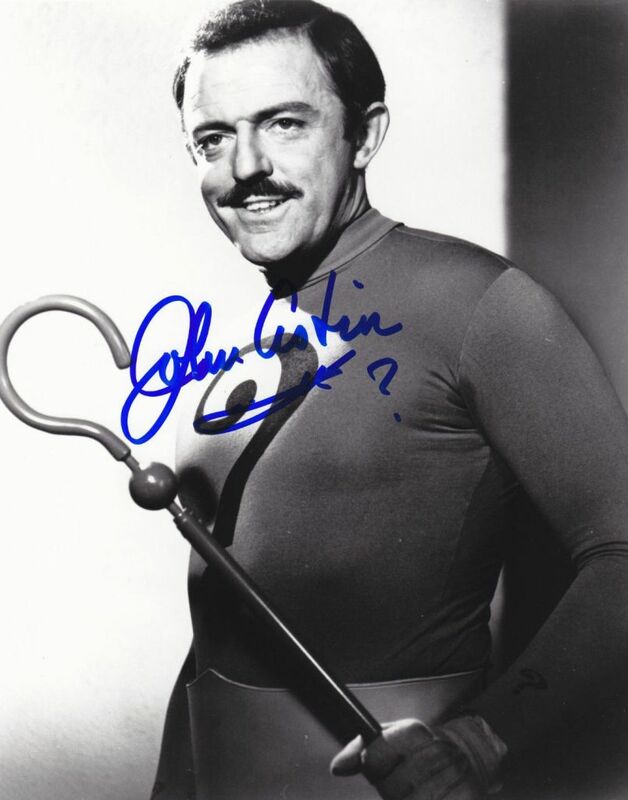 John Astin played the part in episodes 79 and 80 during Frank's absence. 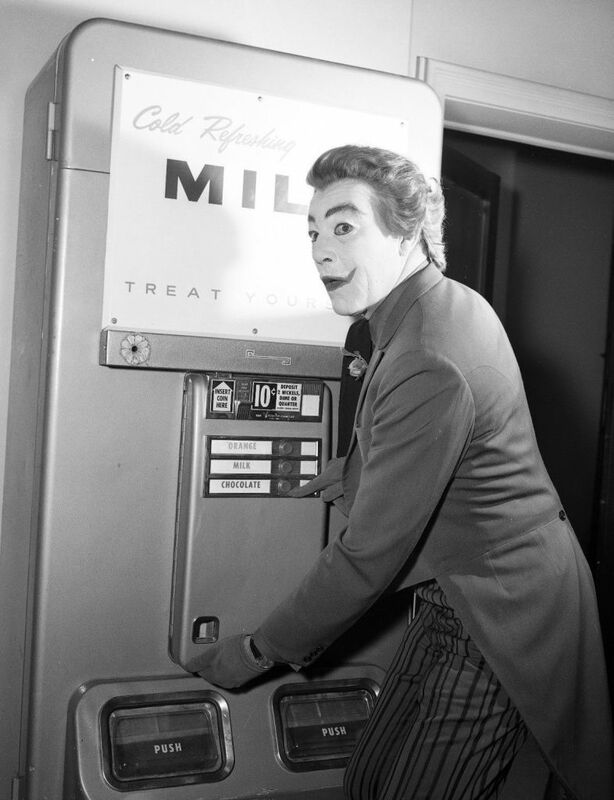 The Sand Man British actor Michael Rennie played this role in episodes 67 and 68. 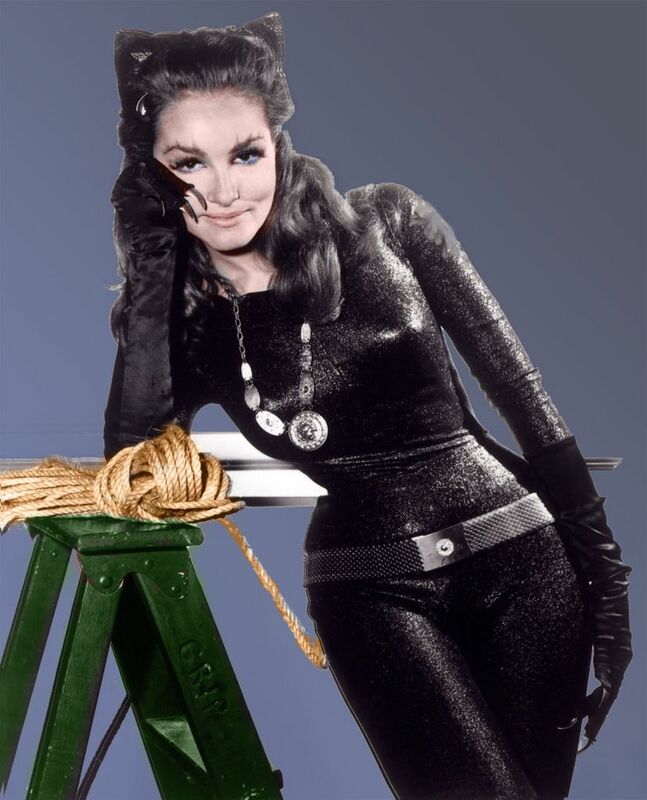 Unfortunately Michael was cast alongside Julie Newmar as Catwoman for this adventure and was subsequently overshadowed by Julie's Curvy Charisma. 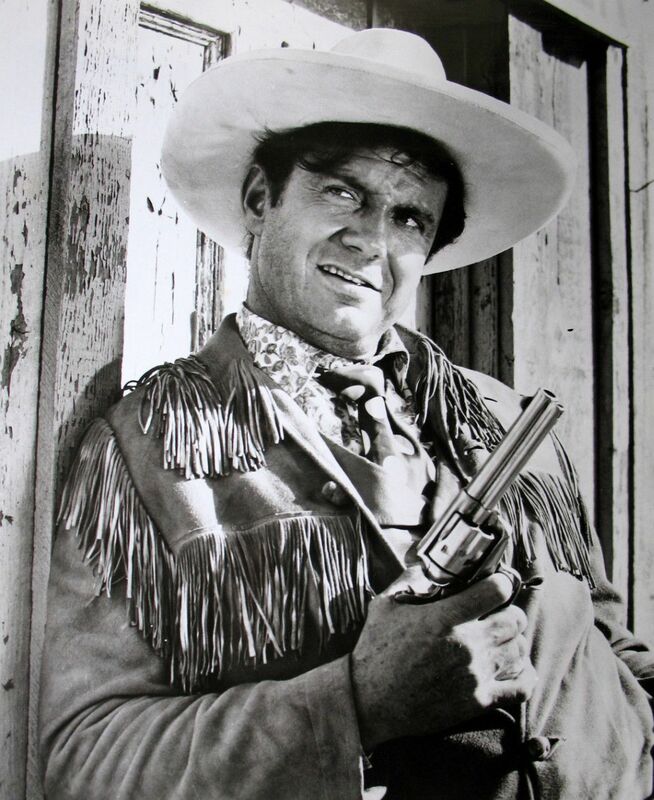 Shame Played by Cliff Robertson for two adventures in episodes 59, 60, 115 and 116. 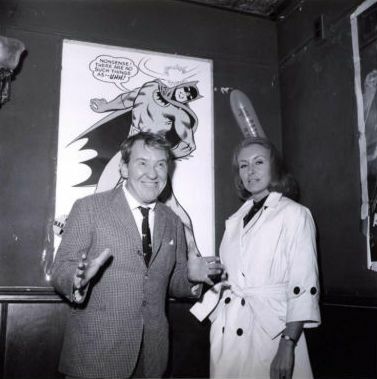 The Siren Joan Collins was suitably showcased as The Siren for a single episode, 97. 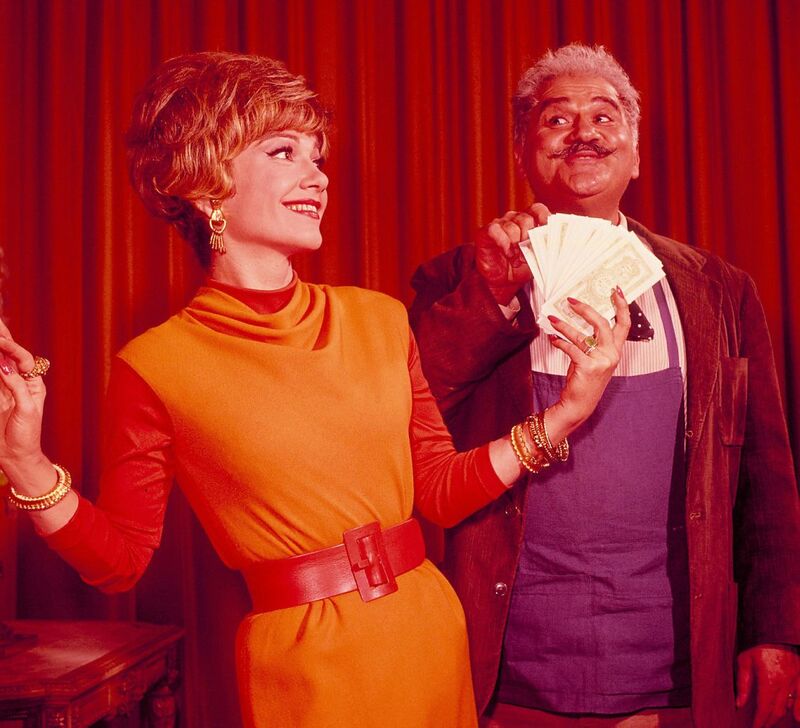 Zelda The Great Zelda was played by Anne Baxter. 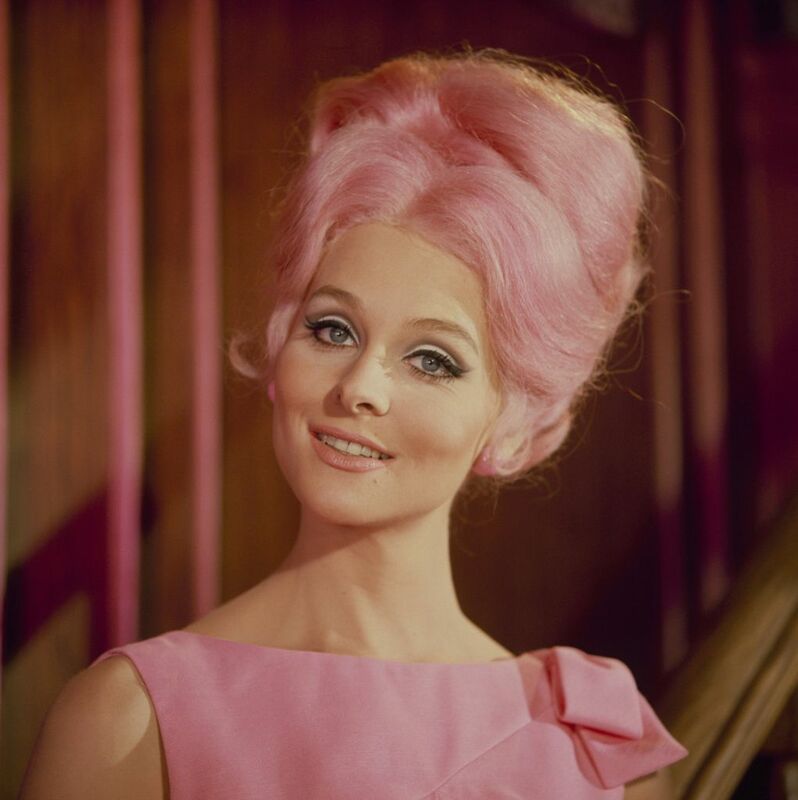 She was the fifth villain to appear in the first series in episodes 9 and 10. Zelda did not return. 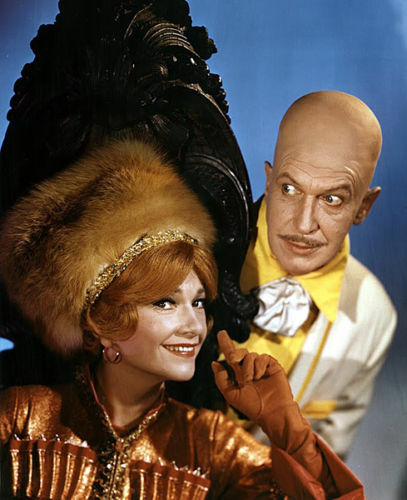 However, Anne Baxter was back in episodes 102 and 103 as Egghead's sidekick, Olga Queen of the Cossacks.